The tangerine coloured petal on top is part of a necklace. The petal is an actual orchid petal that has been treated and coated with resin. A conversation piece. There are new images on my Gallery page. Have a look see. I am thinking that I might do a High-Low series for this Spring Open House. My example is a pair of freshwater pearl earrings that are about 16mm. 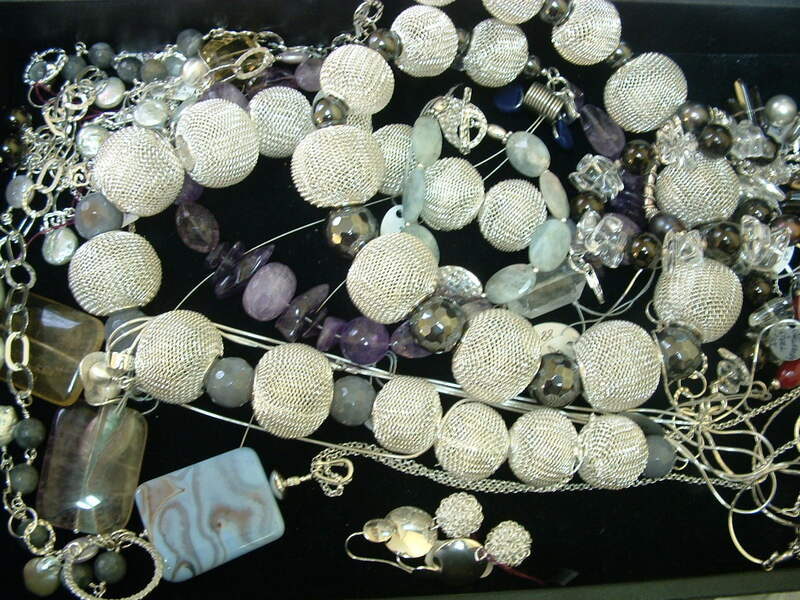 in size and set with sterling silver. These would retail for about $75 plus. Same or similar design with mother of pearl would retail for about $32. There is a new show on HGTV that is called High Low….Monday nights at 8 p.m. Rooms are designed with higher and lower budgets. It works. Spring Open House – Friday & Saturday, March 2 &3, 2012. The notices for my Spring Open House have gone out today. With some luck and hope, they will arrive shortly. For the Christmas Open House, a number arrived after the event, even though they were mailed 3 1/2 weeks before the sale. Amazing service from Canada Post. In a few weeks there will new images coming to my Gallery page. The image with this post is one with 3 necklaces. 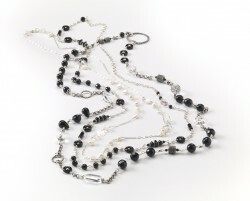 The white one consists of freshwater pearls, then the next 2 are onyx with the 3rd having clear quartz. 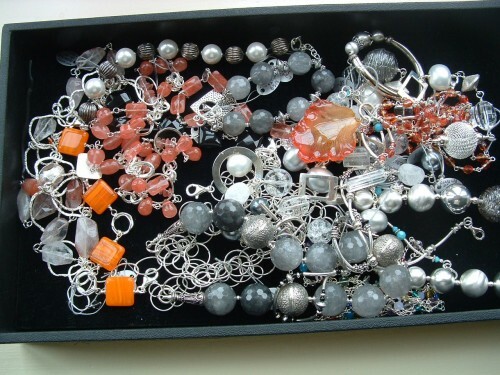 All are complemented with sterling silver. 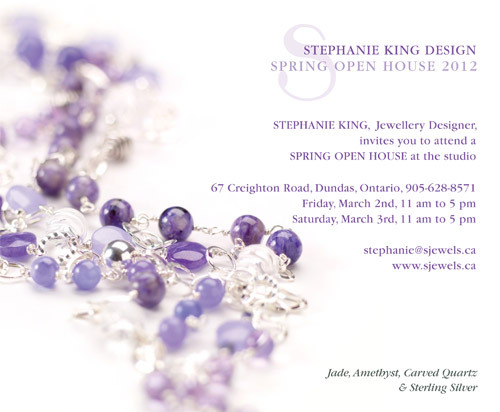 My Spring Open House is coming the first week end of March……Friday and Saturday, March 2 and 3 from 11 to 5. I look forward to showing you my new collection. Tangerine is the colour of the year and there are pops of that. I find it truly amazing that I can add images of my work now, to my posts.